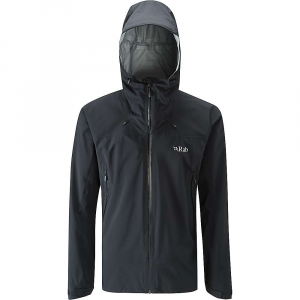 Rab Men's Apparel Clothing Arc Jacket - Mens Black Large QWF59BLL. 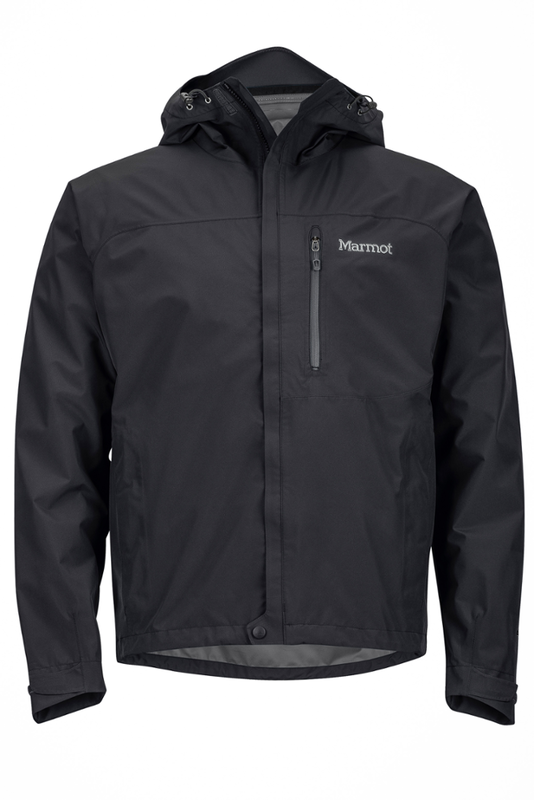 The Pertex Shield 3 layer fabric offers rain and weather proofing as well as stretch. 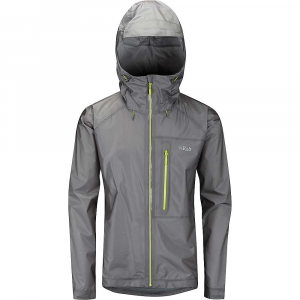 With minimal features to save on weight and making it easily packable this is the ideal jacket for when the rain catches you out on a climb. 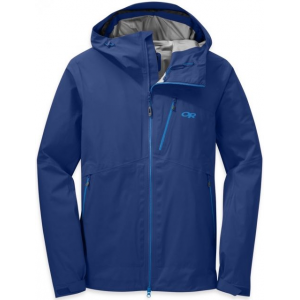 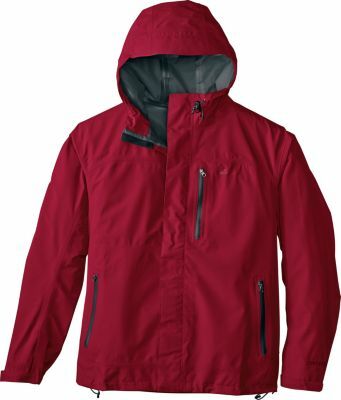 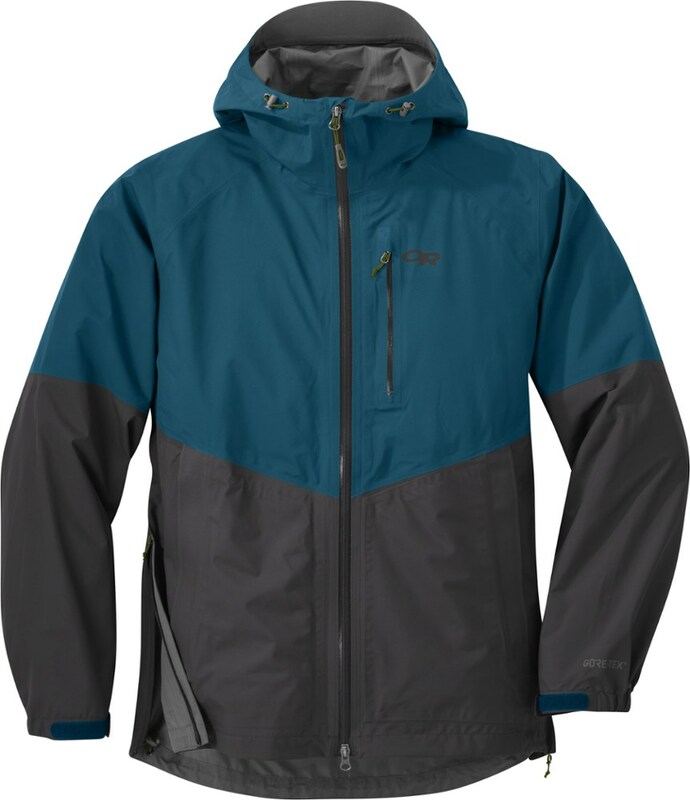 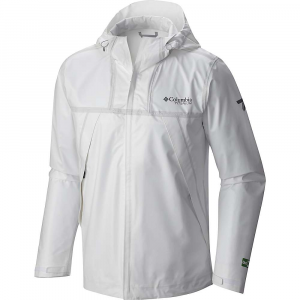 A helmet compatible hood and easily accessible A-line chest pockets mean this Jacket is designed to be worn while climbing as well as walking and is perfect for year-round use in uncertain weather conditions.